AR-based mobile sensation Pokemon Go is getting a fresh dose of friendliness with the new Lucky Friends and avatar pose features. Pokemon Go has always been about connecting people not only to themselves but to the world around them. 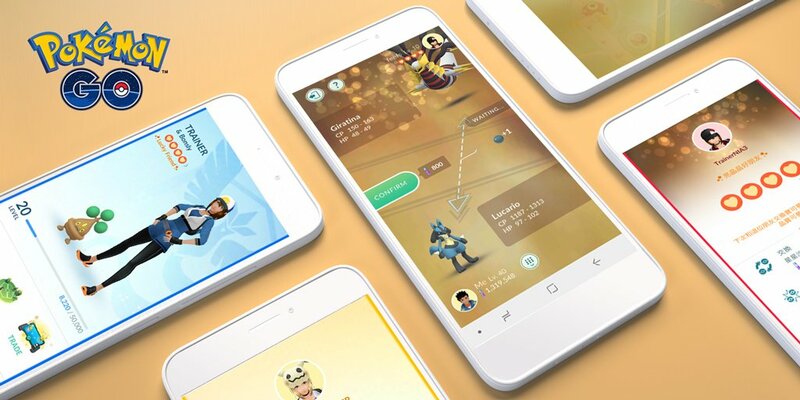 Toward that front, developer Niantic has been cooking up some new features that encourage friendliness and open expression. Players who do a lot of trading will certainly be interested in the new Lucky Friends feature, and those who wish to showcase some of their personal style are now able to select from a variety of different avatar poses. "When you are Lucky Friends with someone, the next time you trade with each other, both Pokémon will become Lucky Pokémon," the post reads. "How do you become Lucky Friends? Once you become Best Friends, you will have a chance to become Lucky Friends! You will have this chance once per day when you and your Best Friend trade Pokémon, open a Gift from each other, team up in raids and Gym battles, or challenge each other to a Trainer Battle." As for the new avatar poses, things are a little less clear. The post indicates that "[once] you acquire an avatar pose, it will be available on your account for both male and female Trainer avatars." However, the post doesn't specify just how the poses might be acquired, be them earned or simply found. In any case, the option to make Trainer avatars stand out has certainly arrived, and we'll be sure to report back with new details as we find them. There's always something moving and shaking in Pokemon Go, and the latest update's addition of Lucky Friends and avatar poses proves that Niantic is still kicking out the jams for mobile gamers. Be sure to stay on top of the latest mobile gaming news and developments by heading over to our Modojo @ Shacknews home page.